With proper manners and impeccable breeding, the beautiful Miss Alison Brooke should be the envy of London's 18th-century royal society. When villainy occurs, an unexpected hero comes to her aid. But rumors result, and Miss Brooke finds herself in the center of tawdry gossip. 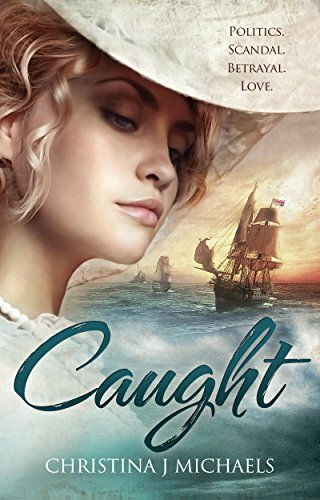 Her rescuer, Robert Anderson, Viscount Charmaine, is preoccupied with troubled finances, an ill father, and defense of the Crown. Problematically, Charmaine's best friend, Marquis Anthony Farrington, is clandestinely helping fund the American Revolution. Miss Brooke's large dowry tempts both men. Her father, however, wants his daughter to marry for love, not money. Without her father's permission for marriage, is Miss Broke ready to relinquish her privileged life for love? In this realistic tale of historical fiction brimming with wealth and uncertain allegiances, society's obligations draw them together, along with Miss Brooke's constant companion, the timid Miss Brenda Boswell. When Charmaine discovers proof of Farrington's betrayal, he is forced to choose between friendship and patriotism. Shots are fired, tears fall, and love conquers all in this remarkable historical romance.